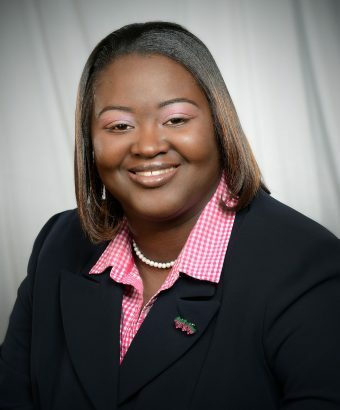 La’Quata Sumter is the Fort Valley State University Director of Online Learning. In this role, she oversees support provided to faculty, staff and students through the planning, implementation, maintenance and troubleshooting related to online educational technology. She provides assistance to faculty with course navigation and technical changes and serves as the point of contact in the deployment, stabilization, utilization, and training of the learning management system. A native of Red Top, SC, Ms. Sumter received an associate’s degree in computer information systems, a bachelor’s degree in computer science, and a master’s degree in instructional technology. She is currently completing an education specialist degree in instructional technology while pursuing her doctorate in learning technologies at the University of North Texas. Prior to accepting the position of Director of Online Learning at FVSU, Ms. Sumter recently served as Lead of Web Services and Software and previously served as director of Academic Online Instruction at Albany State University (ASU). Prior to her service at ASU, Ms. Sumter served as a Computer Information Systems Instructor at Albany Technical College. Ms. Sumter brings more than 10 years of experience and various certifications in the field of technology, which will be invaluable in meeting the university’s goals and objectives. Review of PHP and the ASP.net. By Randy Connolly and Ricardo Hoar. Introduction to Web Programming, July 2012.